This individual is carrying juveniles. 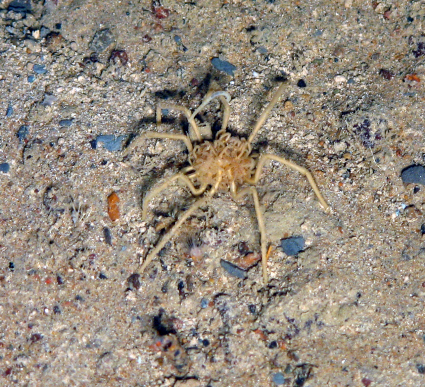 It is a nymphonid pycnogonid, possibly Boreonymphon sp. or Nymphon sp. It is not possible to confirm the identification without observing the chela and palp.